So, the Super 10 stages are over, and for six teams, it's time to say goodbye. Afghanistan and Bangladesh have entertained us, Australia and South Africa have underperformed, and Pakistan and Sri Lanka have some serious rebuilding to do. But for England, New Zealand, West Indies and India the show goes on. We'll be back on Wednesday for the first of those semi-finals as England take on the Black Caps. Join us then - for now, adios. Sri Lanka captain Dinesh Chandimal: "You can't say every time you are a rebuilding team. Someone has to put their hand up and perform well. Batting has let us down throughout the tournament. We didn't execute in the middle and that's why we lost." 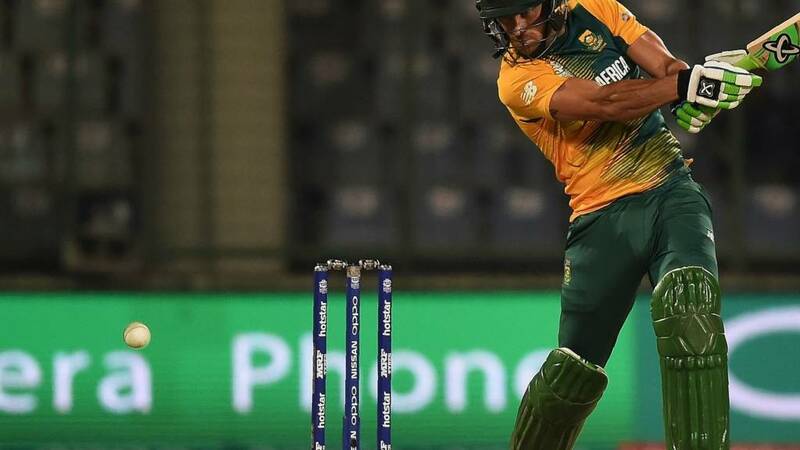 South Africa captain Faf du Plessis: "Unfortunately we played our best game tonight when we were already out. We should have won the first game when we scored 230 though obviously we didn't bowl as well as we'd hoped, then Afghanistan are a dangerous team, and not to get over the line against West Indies was disappointing. I've picked up a few grey hairs in this tournament but hopefully I'll still be here in four years' time." "I've been talking to some of our media colleagues like Pommie Mbangwa and Russel Arnold who have watched a lot of the tournament, and they're going for England to win Wednesday's men's semi-final against New Zealand." Vic Marks adds: "New Zealand have played all their matches on pitches which have turned significantly." "It hasn't turned that much today, and the Kiwis will have probably taken note - I'd expect two spinners rather than three. You'll have a busy day tomorrow, Aggers, grilling Morgan, Edwards and anyone else who needs to be grilled - but Wednesday should be a terrific day." South Africa spinner Aaron Phangiso: "It was a great pitch, I was looking for assistance. It's been tough, we prepared well but we just needed a bit of luck on our side. It's always tough to play what we call a 'dead rubber', but we're always proud to represent our country and it's always good to play here as you get more assistance with the pitches." "When a game of anything, particularly a limited-overs cricket match, doesn't really mean anything, there isn't that intensity you'd have otherwise." "De Villiers has a big smile on his face, this match is rather being played in that way." Amla shows great dexterity to split the fielders at point and third man when Chanaka strays wide of off stump. De Villiers is going to drop the hammer here. Short from Chanaka, pummeled over long on for a flat six. Email Message: I don't see Sri Lanka really competing on the big stage any time soon; in a transitory period if ever there was one. Without the legends Jayasuriya, Vaas, Murali, Sangakkara, they really struggle for leadership and experience. I don't see Sri Lanka really competing on the big stage any time soon; in a transitory period if ever there was one. Without the legends Jayasuriya, Vaas, Murali, Sangakkara, they really struggle for leadership and experience. "Before the tournament, you'd have probably expected South Africa to be one of the semi-finalists. And you'd have expected them to beat West Indies, but they didn't bat very well in that one. Some of them won't be on the plane very long as they'll be back here for the IPL." Amla whacks Vandersay over the top, well cut off by Perera in the deep. Then he gets one through, late-cutting behind point to pick up a boundary. South Africa on Easy Street. "There's a peculiar pressure on De Villiers to do something spectacular now." AB delights the crowd by strolling out to the middle with the job mostly done, like Michelangelo rocking up when you're almost finished painting the living room. Siriwardana becomes bowler number seven, but he doesn't have any more joy than most, with South Africa milking him for five singles. "That was a big inside edge, but the finger went up straight away. He tried to play one of those scoop shots to a full-length ball, and he just stayed there. He didn't show dissent - it was more like horror. I wonder if the match referee would take that into account when he delivers his sentence? What percentage of his fine would be deducted if it's proved that he hit it? But the crowd's happy, they know who's in next..."